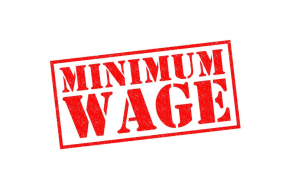 Abuja — The Federal Government appears to be in a dilemma on how to source funds to pay the new N30,000 minimum wage to workers. The development is generating tension as the government fears that this might lead to another round of crisis between it and organised labour. Vanguard reliably gathered that between N200 billion and N300 billion is required annually to handle the payment of the new N30,000 minimum wage but the Federal Government budget of about N150 billion is said to be grossly inadequate to take care of the workers' new salary structure. Though the Federal Government has indicated its willingness to pay, having assured workers, the calculation by appropriate ministries shows that the government requires about N300 billion annually to cover all agencies of government. More worrisome is the fact that both the Senate and House of Representatives have recommended the N30,000 but government appears to be in a big mess because it doesn't have that amount in the budget. It was further gathered that with N150 billion, some agencies of government such as the National Youth Service Corps, NYSC, will not have money to pay salaries. A competent source in one of the ministries told Vanguard that serving members of the NYSC are supposed to be paid the N30,000 new minimum wage and additional ten percent of the N30,000, which makes it N33,000 monthly. The source further said that with the present budgetary allocation, the corps members may not be part of it. Speaking on condition of anonymity, the source told Vanguard that it was expected that adequate budgetary provision should be made, taking cognizance the relevance of workers in all the agencies and parastatals that are expected to benefit from the new salary payment. "We had expected that the economic team of the federal government should make adequate budgetary provision for the payment of the new wage. In fact, what is required is between N250 billion and N300 billion. "As it stands now, the budget of about N150 billion will not take care of the new salary payment. Even the NYSC members are not captured in the new payment. The corps members are supposed to be paid the N30,000 plus ten percent of the amount which makes the total package N33,000 per month." "I don't know what was the intention of the economic team when they were making budget. It is not that the money is not there. If nothing is done to make up the shortfalls, it is going to create another crisis between labour and government. "I am quite sure that organized labour will not accept anything less than the newly approved amount and will not listen to excuses from government," the source said. Attempts made to get the government's position on the matter did not yield any results as the Director of Budget, Mr. Ben Akabueze, neither picked calls to his GSM lines nor replied the text message sent to him. Recall that President Buhari had, while hosting the leadership of organized labour, led by the National President of the Nigeria Labour Congress, NLC, that paid him a congratulatory visit at the Presidential Villa, Abuja after he was declared winner of the February 23 election, called for cooperation from the labour unions. While recalling the negotiations that led to the approval of the N30,000 minimum wage, he said he had to ask the Minister of Labour and Employment, Senator Chris Ngige, to remind the workers what his administration met on ground and what it's been able to achieve with minimal resources. President Buhari had said: "During your negotiation with the minister of labour and when he briefed us in council on N30,000 minimum wage. I gave an analogy of a mad woman, who went to fetch firewood but then she realized it was to heavy for her to carry, instead of reducing it, she added more. "I said we are struggling to survive as a nation. You (workers) knew what this country was earning between 2009 and 2015, you knew the state of infrastructure when we came in, God gave them 16 years of unprecedented earnings. Multiply 2.1 million by $100 by 16 years. I don't think the PDP has been been able to successfully explain to Nigerians what they did with that money. "Most of you are unanswerable to Nigerians, I appealed to you through our mutual friend, the minister of labour, to tell you where we found the country, where we are, and what we have been able to do with the resources available to us. "We cannot succeed without your cooperation. I appreciate the pressure you are under from your respective constituencies, most especially if you have to submit yourself for elections, you have to prove to your members that you are with them rather than with the government and we understand."